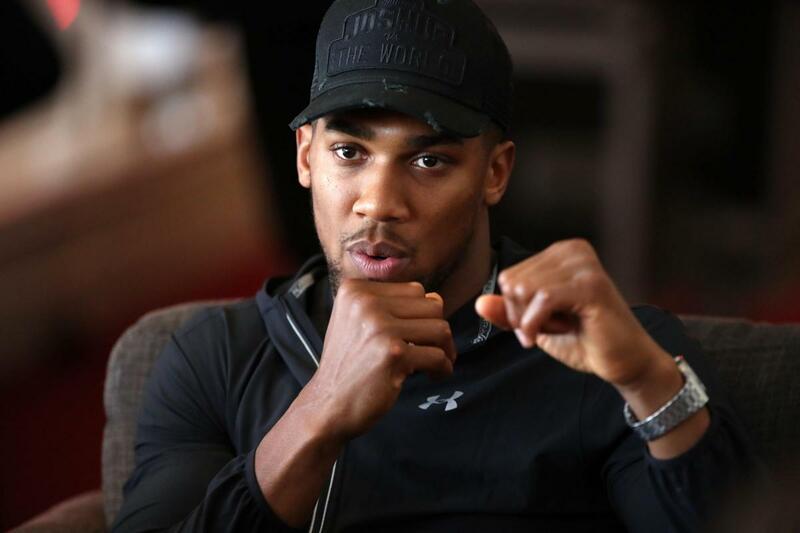 Joshua: Miller Is Just Another Stepping Stone To A Mega-Fight. ANTHONY JOSHUA insists he won’t lash out at Jarrell Miller as he prepares to become part of Madison Square Garden history as he knows the fight would be cancelled if he lost his temper. The WBA, IBF, IBO and WBO heavyweight champion defends his titles against the American at the iconic venue in New York on June 1. The bad boy turned British boxing golden boy says he has learned lessons from the past after being riled by Brooklyn bruiser Miller at the announcement press conference earlier this year. Joshua’s fight with Miller is his big debut in America and he will make it at a venue steeped in boxing history. MSG has hosted some of the biggest fights in history, including the ‘Fight of the Century’ between Muhammad Ali and Joe Frazier in 1971. Joshua said: “Until I had the offer to fight here, I never realised how iconic this place was. “When I found out I was fighting at MSG, it made me zone in to what it was about. It is an iconic place, not just in terms of sport, but entertainment. “Being amongst all these guys is one thing and I feel me and Miller have just posted our names through the post box of MSG history. “I feel it’s how do you stamp your name along with these guys because it’s one thing being amongst it, but how do you make your stamp? “It has to be a great fight and then I have to come back again and own the place. “I’m definitely not going to be the home fighter. Miller will probably bring all his goons, family, friends and supporters, a whole batch of people for him. “I’ve just got tunnel vision and not let it get to me. “The Brits travel, but I hope there will be a lot of Americans there as well because that would show we are breaking barriers.“I want more Americans there. I want to show we can pull in a crowd and bring boxing back.” Joshua’s fight with Miller is believed to be another stepping stone towards an undisputed clash with WBC champion Deontay Wilder. But they are no closer to agreeing a deal to meet any time soon. Joshua added: “In terms of the negotiations, they didn’t align at the time and I’ve realised I’ve said a lot of things to blame him and he’s said a lot of things to blame me.